Sometimes there’s just no substitute for experience. Live sound puts special demands on both equipment and personnel, because there’s no second take, and because anything less than total reliability can mean disaster. Then there’s the physical punishment of touring, and the need to work in a wide variety of environments. After more the 25 years of designing and building mixers for professional live sound, Soundcraft has earned a reputation that’s second to none, because we listen to engineers at the cutting edge, and take notice. The k2 is our most cost-effective fully-featured 8-bus live console ever, taking advantage of Soundcraft’s long experience in live sound to deliver, in a straightforward package, all the facilities you need for a first-rate production. The k2 includes many features that you’d expect only on a much bigger console - like an advanced solo system, true left-centre-right bussing, a built-in matrix, and full 4-band EQ - equipping it for a range of applications from touring with bands to fixed installations in theatres, clubs, or places of worship. 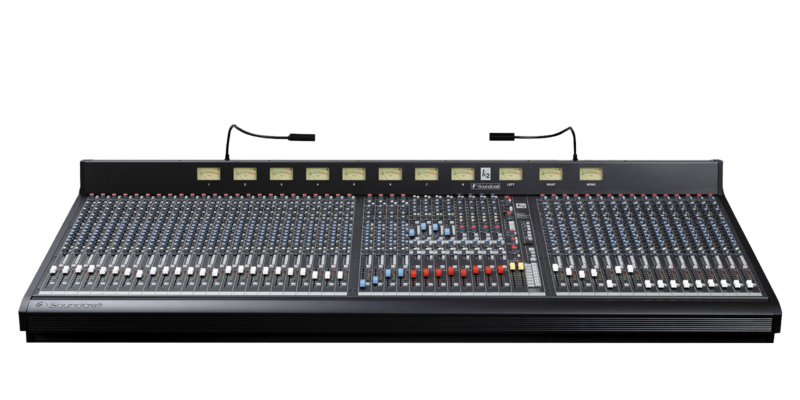 The desk is available in three frame sizes from 24 to 48 mono input channels, with an additional eight stereo input channels.